Latin folk music can mean different things depending on who you ask. 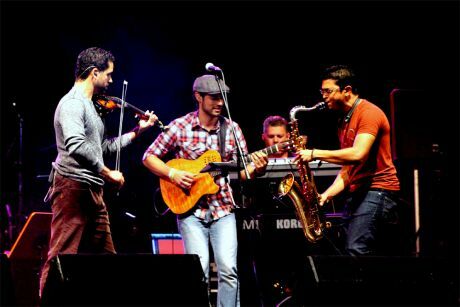 This is because Latin folk music is essentially the traditional music tied to one's culture. Similarities across Latin cultures allow for appreciation of different styles of music and musicians feed off of this to continue to create amazing music that transcends boundaries. This line-tuned 12-piece Puerto Rican-based ensemble of virtuoso musicians has only gotten better with age, as evidenced by their five Grammy nominations. Dance, in general, is a vital component of Plena Libre’s live performances. Their innovative choreography, drawn from folk traditions, offers an experience that is distinct from salsa bands, and illustrates their profound understanding of their Puerto Rican heritage. 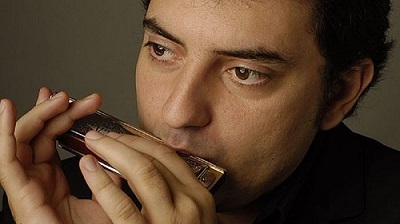 Grammy Award winner, Antonio Serrano, is an internationally acclaimed harmonica virtuoso from Spain and labeled as the greatest harmonica player of his generation. Asi Somos has been breaking down boundaries, uniting seemingly irreconcilable genres, communities, and generations to create and inspire a fresh movement in the world music scene in Puerto Rico.